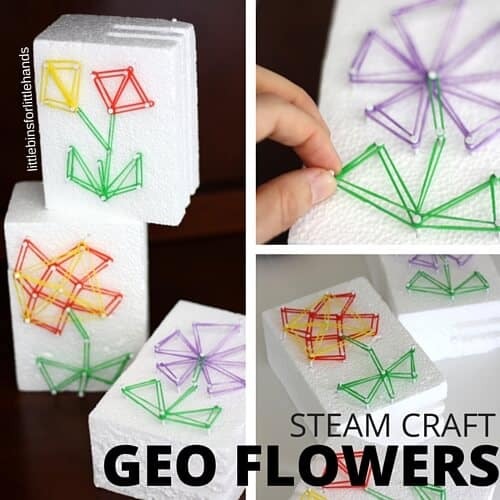 Explore STEAM with a fun geo flower STEAM craft activity! Turn a leftover piece of styrofoam into a geo board inspired work of art with your kids. 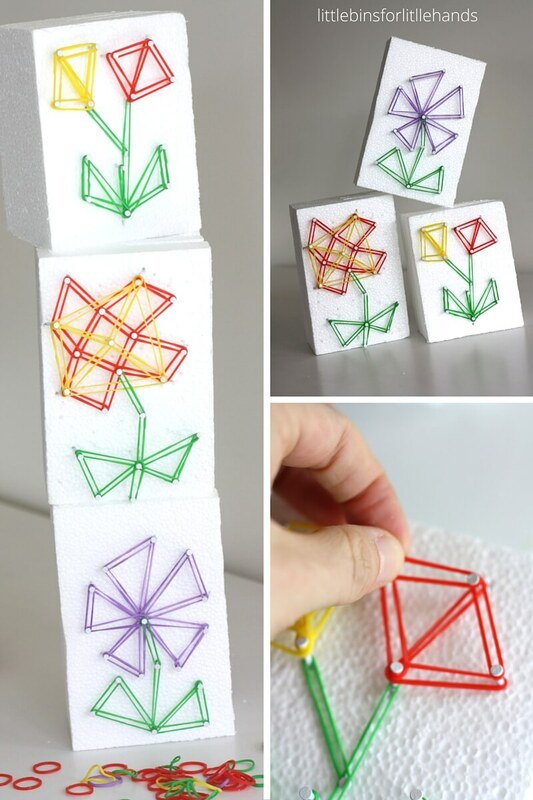 Also makes a fun Mother’s Day activity to give to mom! 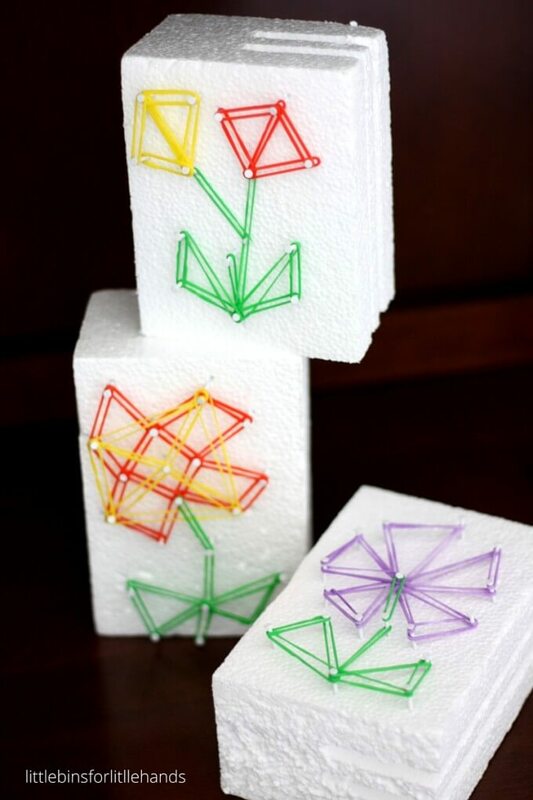 A few simple supplies and you can explore math and art with a bit of engineering as you make a beautiful flower! Simple STEAM ideas for kids are perfect for encouraging creative thinking! 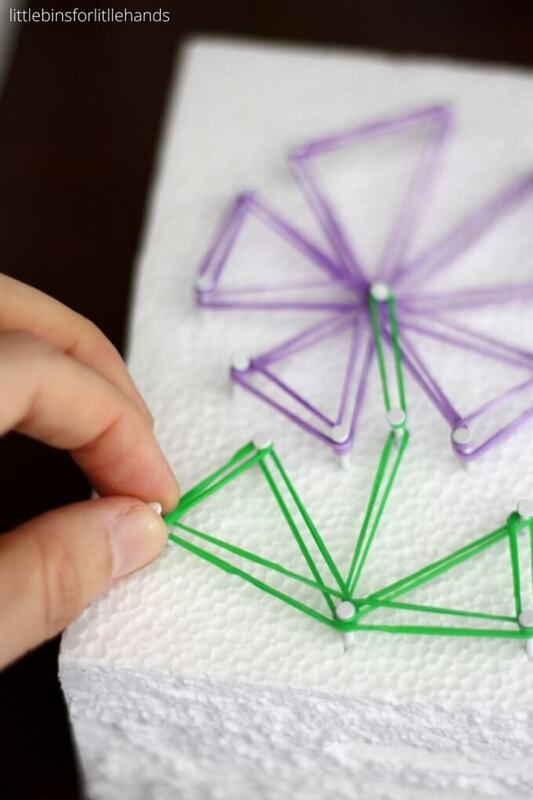 Super simple geo flower STEAM craft is perfect for Spring! We have used styrofoam before for making a star shaped geo pattern which was tons of fun, so we decided to try it again but with a flower theme! Did I mention this would be perfect for Mother’s Day too! If you have more of STEAM loving kid, this idea is perfect. Thick Styrofoam. I save everything for our STEM ON A BUDGET ideas. Take a look! 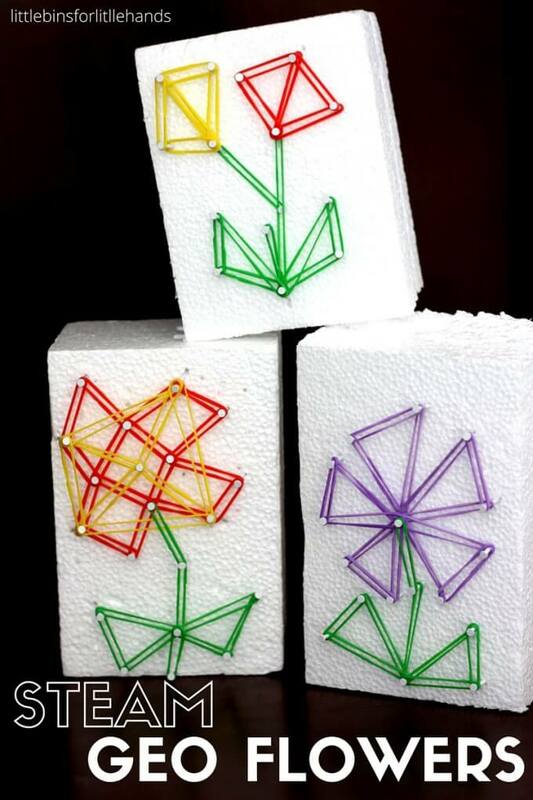 You can easily sketch a flower design on the styrofoam first or free form it! I sketched one for my son and he decided on the shapes to use. I tried a couple free form ones as well. I also made a model first for him, so he could see what we were going to do. There are so many great things about geo boards that go along with STEAM! We made an awesome DIY WOODEN GEO BOARD that we still use weekly several years ago. 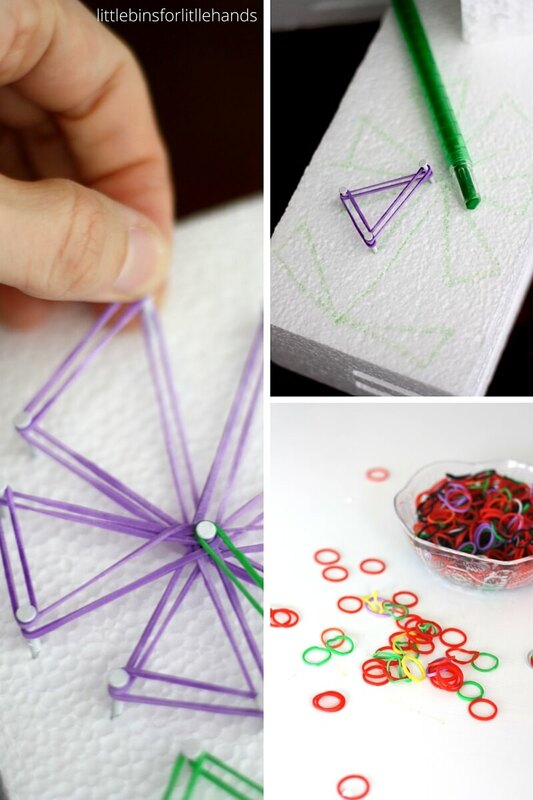 He loves creating shapes, patterns, and designs with either rubber bands or loom bands. Plus it’s all early math! 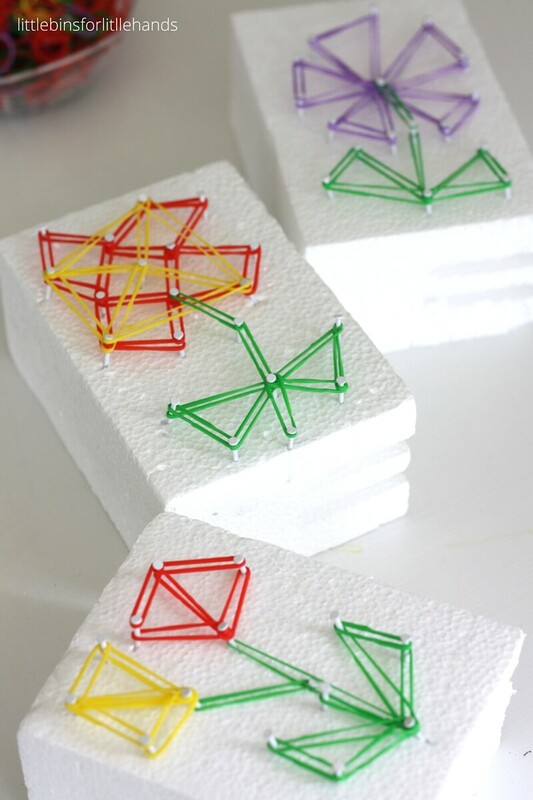 This geo flower STEAM craft is a perfect way to combine art and math! You can use different shapes to design the flowers and then add shapes within the shapes. Check out flowers online for inspiration! How can you turn a picture of a real flower into multiple shapes. Makes a fun Spring decoration or Mother’s Day gift for kids to give like our Crystal Flower Bouquets. Plus, it’s reusable. Take out the trim screws and pull off the loom bands and make another design! Add more trim screws into the design and create more patterns and shapes! Quick and simple too. Previous Post: « 10 Things I Gave Up To Be A Stay At Home Mom. 10 Things I didn’t.